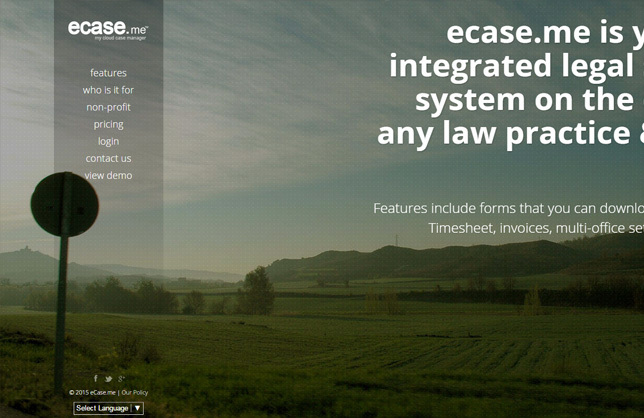 eCase.me is your fully integrated legal software system on the cloud for any law practice & for any country. eCase.me is for any law practice or those in legal firms, employers seeking legal tracking, or a new firm getting off the ground. The system being so flexible can add in different practices of law and can allow across the border practices (multi country) forms and tracking devices for cases. The system allows invoices to be generated and tracked. It also keeps a time sheet for the work performed for each person in the firm for both internal use and also for presenting this to the client for billing purposes.